Parker’s thermal bypass valve will modulate fluid temperature by shifting return line flow through the cooler, or bypassing it directly to the reservoir. 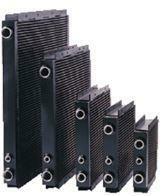 Additionally, an integral pressure relief function automatically releases excess pressure to the reservoir if the cooler becomes restricted, and the inlet pressure becomes excessive. Relief crack pressure settings range from 5 to 85 PSI. These lightweight, aluminum valves are ideal for hydrostatic drive circuits requiring fast warm-up, controlled fluid temperatures, and low return line back pressure. Available in five shift temperatures. Integral relief valve to dump excessive inlet pressures to the reservoir. 250 PSI maximum operating pressure. 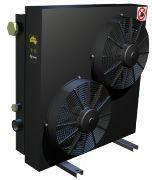 Up to 60 GPM flow rates. The small Suppressor makes big improvements to your hydraulic system. 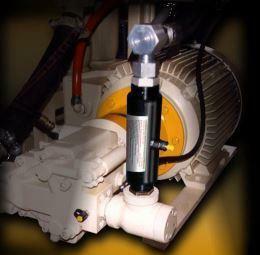 The Suppressor is an in line device that reduces the noise of any hydraulic power unit. 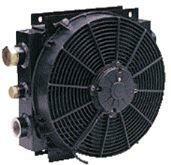 It performs the same function for a hydraulic line as a muffler does on an automobile. It makes the unit quieter by absorbing the sound. The Suppressor offers a second advantage to a hydraulic system. 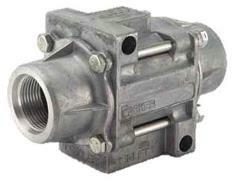 It also reduces hydraulic pulsations and hydraulic shock. 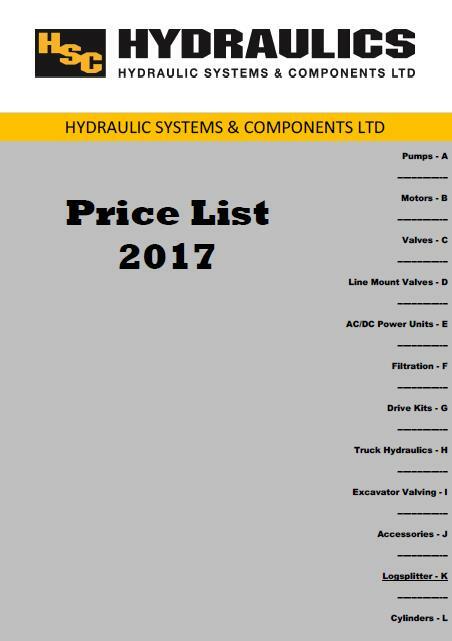 Hydraulic pulsations can cause pump wear and also cause leakage at tube or pipe connections. No complex sizing formulas. The Suppressor is sized to match your hydraulic line size. There is a Suppressor for every pipe and tube size from 3/8" to 3". Standard bladder material is high temperature HNBR -20° to +250°F. Viton, or EPR bladders, are also available for special applications on indent. Improved corrosion protection for fluid port and protective cap. Kits include all bladder components including the gas valve, stem locknut, protective cap, fluid port o-ring, back-up ring and bleed vavle seal. Kits do not include the anti extrusion ring (AER). 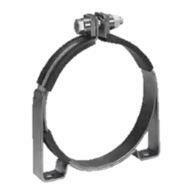 Oil service bladders supplied standard in nitrile high strength rubber with carbon steel metallic components. 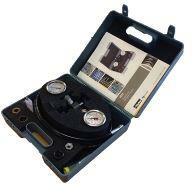 Maximum working pressure: limited by the maximum operating pressure of the installed gauge. Pressure limited to 400 bar in any case. High pressure hose, 2.5m long, for connecting to a nitrogen source.